LTI is the Gold Sponsor at ACORD Connect 2018. ACORD Connect is one of the prestigious events in the Insurance industry which gives you an opportunity to meet with the members of the ACORD community, and learn, network, and turn insights into action. At ACORD Connect 2018, you will explore important strategic issues facing the global insurance industry; enhance your expertise with ACORD Standards & Architecture; and earn valuable continuing education credits through professional development sessions. Over several years, LTI has been helping insurers solve complex business problems such as Digital Adoption, Customer Experience Management, Speed-to-Market, Underwriting Profitability, Operational Efficiency, Distribution Effectiveness and Claims Optimization. 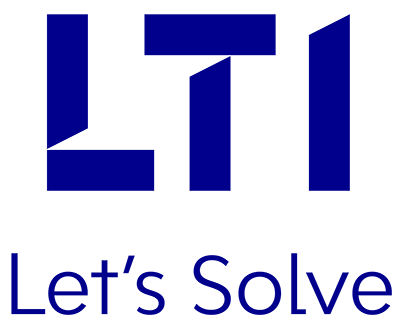 LTI brings rich insurance domain experience, strong partner ecosystem and IP-based solutions to our engagements. Our IT services and solutions for the insurance industry will help you achieve profitable underwriting, distribution effectiveness, claims optimization, and loss prevention with solutions for Core Business Transformation, Connected Insurance and Automation while provisioning superior customer experiences. Meet with LTI Insurance experts with extensive technology and industry domain experience, to discover insights into our key offerings, and know how LTI brought value for its customers, and discuss our innovative solutions along with new frameworks and recent success stories. Please join us at our Booth No. 10, to learn and share insights on current and future trends in business and technology. We look forward to seeing you in New Orleans..! With the Businesses losing more than $600bn USD to Cybercrime in 2017 and World Economic Forum rating Cyber threats in their Top 3 risks to business across the globe for 2018, Cybersecurity has become a paramount agenda for any board room discussions. Never before in the history of Insurance industry, a value of a data asset has crossed 200$ per asset and Organizations have been transferring their risks by buying Cyber-Insurances. The business community is discussing about their worst nightmares – Unknown threats leading to significant business disruptions and sometimes irrevocable reputational damage. It is THE time now for organizations to be aware of how to embark on advanced technologies & methodologies to prevent known and identify unknown threats in near-real time and mitigate the risks. 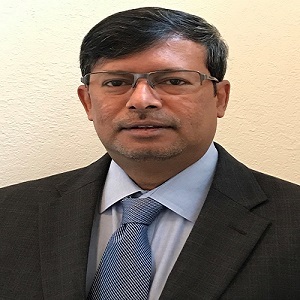 Prasenjit brings 25+yrs of experience in helping organizations to enhance their Cyber Defense & Resiliency across the business & technology spectrum. He is respected for his thought leadership and envisioning the next generation Cybersecurity technologies to prevent business disruptions. Shrinivas brings 18+yrs of experience in leading Cybersecurity transformations as Global CISO. 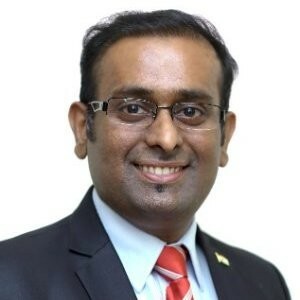 He has been a security evangelist who has left no stone unturned to increase the cybersecurity maturity in organizations.